At MMAAS LTD, we offer a personal and compact tax service which covers all your tax related concerns. We ensure that your tax returns are made in accordance with the law and to an optimum level. Irrespective of your current circumstances, we provide you with the most appropriate tax solutions. This is done with the help of our integrated, comprehensive and personal approach. Through our service we ensure that your investments are earning the most for you and your capital is taxed efficiently. Capital Gains Tax liability can be eliminated or reduced often with early and careful tax planning. 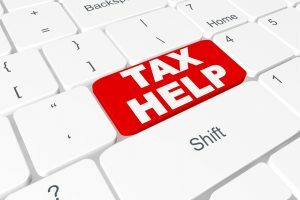 We may reduce or delay the payment of your Capital Gains Tax liability by arranging a review of your particular situation. Our Accountants can assist in reducing or eliminating Inheritance Tax liability with appropriate tax planning. We offer an extended service by adopting a few simple steps in simple cases. We also ensure detailed planning for larger estates. Thus optimising your personal tax returns. Trusts are another valuable method or providing wealth protection. Trust are a valuable option that can assist in the reduction of Capital Gains Tax mitigation, Inheritance Tax planning and Income Tax. Moreover, your financial planning objectives which includes, planning for your retirement, supporting children through education or passing on assets. Your assets can potentially be safeguarded by trust from a claim by the local authority in respect of care home fees. You can undoubtedly get the maximum benefit from Entrepreneurs’ Relief. We will help you set up a tax efficient business structure from the beginning. We could also help in re-structuring your business before a sale. Additionally, with our help, you can claim other available reliefs and exemptions. Amongst which are principal private residence relief, annual exemption, gift relief, lettings relief and chattel exemption.